Plum Print is a unique company that will take your child's artwork and transform it into a sentimental and stylish art book to proudly display on your coffee table. With the holidays fast approaching, Plum Print art books are a fantastic and one-of-a-kind gift idea for grandparents, parents and kids. Plus, let's face it, you need all the household room you can get -- and piles of your child's art everywhere, while sentimental, are also a bit messy. Why not keep your child's artwork where it can be enjoyed? Keep reading to learn more about Plum Print's cool services. Just four simple steps is all it takes to go from a messy pile of unorganized kid art to a fabulous book. Once you place your order, Plum Print will send you a confirmation e-mail and Art Submission Form. You gather up your child’s artwork, toss it in a box with the Art Submission Form, and send it to Plum Print. 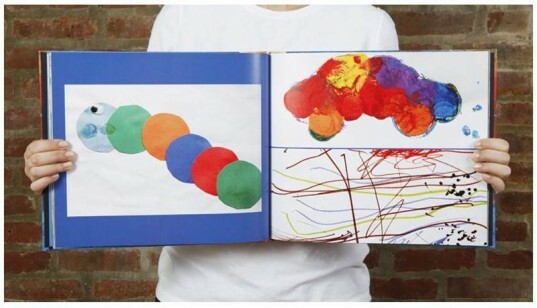 Plum Print then takes your child’s art and transforms it into a vibrant book. You’ll receive a digital proof of your book so you can make sure you like what you’re getting and give your final approval. 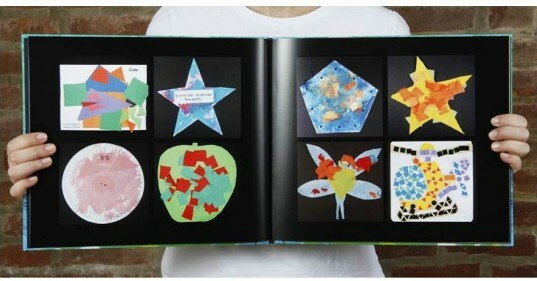 Plum Print professionally prints and binds your child’s art into a beautiful coffee table book. What sort of art can be included? You can send Plum Print various types of artwork, such as all 2-D pieces of art and all small 3-D pieces (meaning smaller than 5? x 3? x 3?.) You should send in all your favorite pieces that your child has created, and avoid folding them, because creases result in hard to reproduce digital images. To send large pieces of art, Plum Print suggests rolling artwork in a tube. At the end of the process, you’ll get all your original art back. Plum Print has a great tips section that can help you choose which art pieces to send. What else can be in the book? 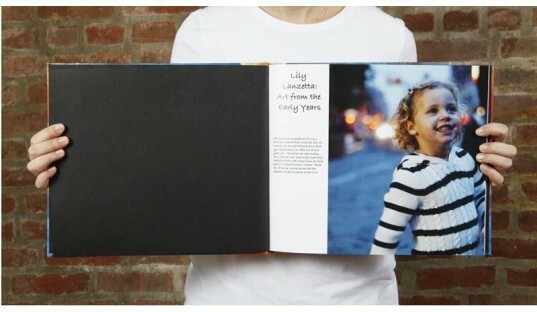 One cute high-resolution photograph of your child and a little bio about them can be included in your book. For an extra fee, Plum Print will add short captions next to art images. This is an especially cute idea if your child likes to point out, “This is my dog, riding a rainbow,” or other funny stuff. Finished Plum Print books are very professional, printed on the leading HP indigo digital offset printer. All softcover books are printed on 80 lb glossy paper with a perfect binding, featuring your little one’s art on a glossy cover. Hardcover books are printed on premium 100 lb glossy paper with a library binding, and feature the artwork on a matte cover that wraps around the cover of the book. Better yet, Plum Print may be able to improve upon your child’s art, because they try to eliminate errant blemishes, scratches or tears that have been caused with time or travel. For the services provided, Plum Print is very reasonable. You first need to consider how much is your child’s art worth just sitting in a pile. Wouldn’t it be way more fun and easier to keep forever, in a wonderful book? A 20 page softcover book will run you just $85.00 while a larger hardcover book that holds around 120 pages will cost about $200.00. Depending on how much art you have and the type of book you’d like, the prices vary, but it’ll be worth it to have your child’s art safely and beautifully kept for years to come. See all Plum Print pricing. Plum Print also offers gift certificates, which would make an amazing gift for a parent. All of us parents have been there. You just can’t store one more piece of art, so you “recycle” it but feel a little guilty about it afterwards. Or maybe you’ve been meaning to frame some of your child’s art, but there’s no time, so you just keep it in a cardboard box where no one can enjoy it. Why not turn that art into a book now? You and your child will have lots of fun flipping through your own coffee table art book. Plus, when your kids are grown, a Plum Print book will be a great piece of memories they’ll have to enjoy and share with their own children. Visit the Plum Print website to learn more or see a great gallery of wonderful books. Just four simple steps is all it takes to go from a messy pile of unorganized kid art to a fabulous book. Once you place your order, Plum Print will send you a confirmation e-mail and Art Submission Form. You gather up your child’s artwork, toss it in a box with the Art Submission Form, and send it to Plum Print. 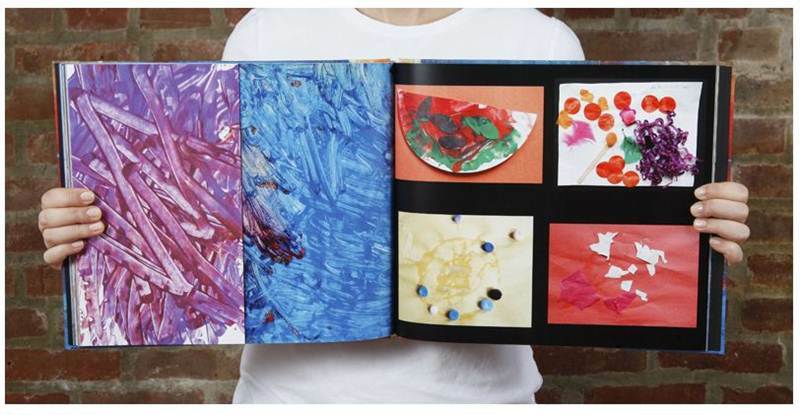 Plum Print then takes your child's art and transforms it into a vibrant book. You'll receive a digital proof of your book so you can make sure you like what you're getting and give your final approval. 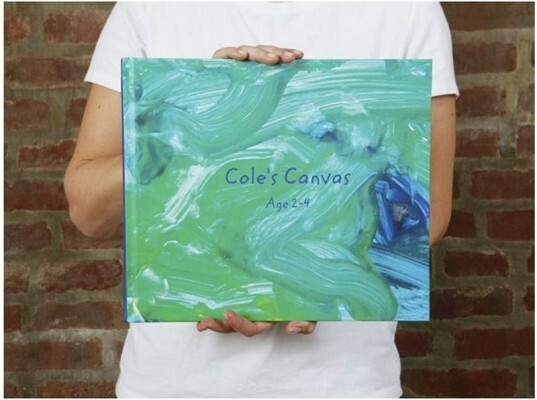 Plum Print professionally prints and binds your child's art into a beautiful coffee table book. You can send Plum Print various types of artwork, such as all 2-D pieces of art and all small 3-D pieces (meaning smaller than 5? x 3? x 3?.) You should send in all your favorite pieces that your child has created, and avoid folding them, because creases result in hard to reproduce digital images. To send large pieces of art, Plum Print suggests rolling artwork in a tube. At the end of the process, you'll get all your original art back. Plum Print has a great tips section that can help you choose which art pieces to send. One cute high-resolution photograph of your child and a little bio about them can be included in your book. For an extra fee, Plum Print will add short captions next to art images. This is an especially cute idea if your child likes to point out, "This is my dog, riding a rainbow," or other funny stuff. Finished Plum Print books are very professional, printed on the leading HP indigo digital offset printer. All softcover books are printed on 80 lb glossy paper with a perfect binding, featuring your little one's art on a glossy cover. Hardcover books are printed on premium 100 lb glossy paper with a library binding, and feature the artwork on a matte cover that wraps around the cover of the book. Better yet, Plum Print may be able to improve upon your child's art, because they try to eliminate errant blemishes, scratches or tears that have been caused with time or travel. For the services provided, Plum Print is very reasonable. You first need to consider how much is your child's art worth just sitting in a pile. Wouldn't it be way more fun and easier to keep forever, in a wonderful book? A 20 page softcover book will run you just $85.00 while a larger hardcover book that holds around 120 pages will cost about $200.00. Depending on how much art you have and the type of book you'd like, the prices vary, but it'll be worth it to have your child's art safely and beautifully kept for years to come. See all Plum Print pricing. Plum Print also offers gift certificates, which would make an amazing gift for a parent. All of us parents have been there. You just can't store one more piece of art, so you "recycle" it but feel a little guilty about it afterwards. Or maybe you've been meaning to frame some of your child's art, but there's no time, so you just keep it in a cardboard box where no one can enjoy it. Why not turn that art into a book now? 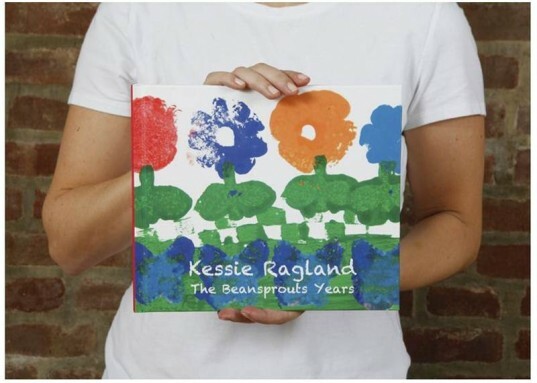 You and your child will have lots of fun flipping through your own coffee table art book. Plus, when your kids are grown a Plum Print book will be a great piece of memories they'll have to enjoy and share with their own children. Visit the Plum Print website to learn more or see a great gallery of wonderful books.